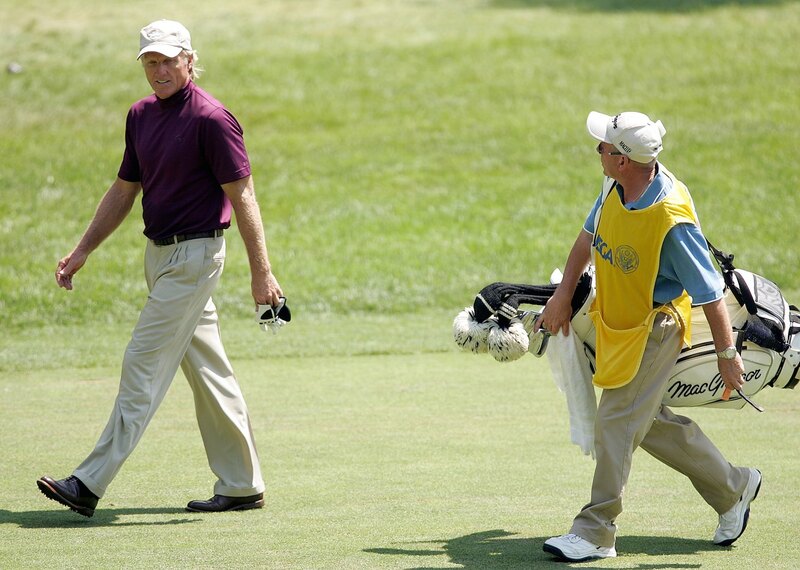 Dave Renwick, famous for being the caddie to a plethora of players, and who won five majors with three different players, has passed away after a battle with cancer. Renwick won the Masters with Jose Maria Olazabal in 1994, the PGA Championship with Steve Elkington in 1995, and the 1998 and 2004 PGA Championship and 2000 Masters with Vijay Singh. Many caddies and players wore a black ribbon on their caps at the Omega Dubai Desert Classic as a tribute to this caddying legend. 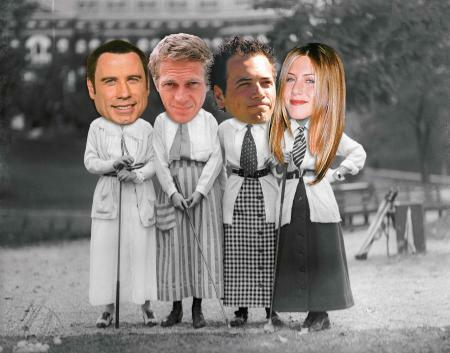 Tributes have poured in on Twitter. Sad loss today of a great caddy Dave Renwick RIP my friend. Sad to hear of the passing of caddy legend Dave Renwick. One of the very best, he was a good man to be around. RIP Davey. A lot of respect being shown for a great man today...RIP Dave Renwick. Very sad to hear the passing of Dave Renwick this morning! Lucky to have had him caddy for me once! RIP Dave Renwick, top caddie and a top bloke. You will be in all our thoughts today. Dave ‘Buddy’ Renwick, has died aged 62 from cancer. Renwick was Scotland’s most successful caddie and won five majors with three different players. 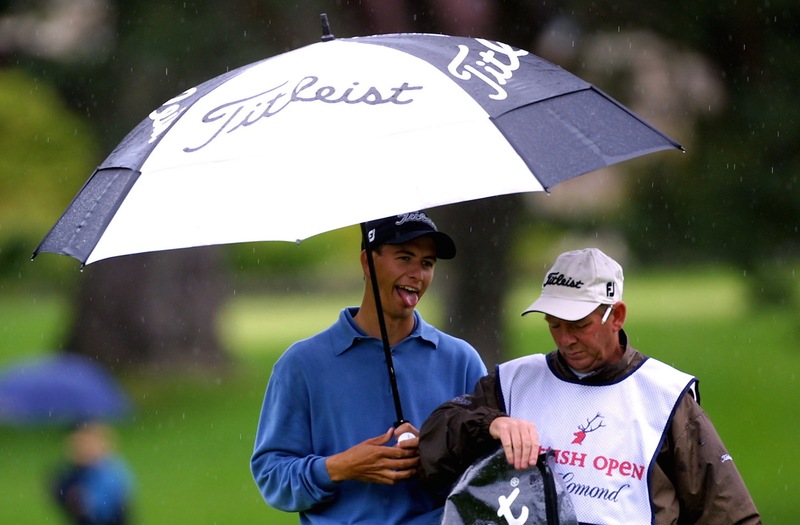 Dave ‘Buddy’ Renwick's first caddying experience was at Dalmahoy, Scotland. His father, who was a joiner, would take a week off his work during tournaments at Dalmahoy to try and get a bag, and Dave would go along and pull a trolley for a pound. Renwick served an apprenticeship as an electrician, and also worked on the oil rigs in the North Sea and Angola for three years. After Renwick split from his first wife he returned to East Calder where his caddying career took off, working for Italian Baldovino Dassu, Swede Anders Forsbrand and also Bernard Gallacher before picking up Jose Maria Olazabal’s bag for the first time. Olazabal won the 1986 European Masters at Crans-sur-Sierre in Switzerland the first that Renwick caddied for him. Renwick and Olazabal had eight years together. “In the end,” said Dave, “he wore me out. I walked off the course at Valderrama one year. It started from the first hole that day. We were playing with Frank Nobilo and we recalled that round out in America earlier this year. 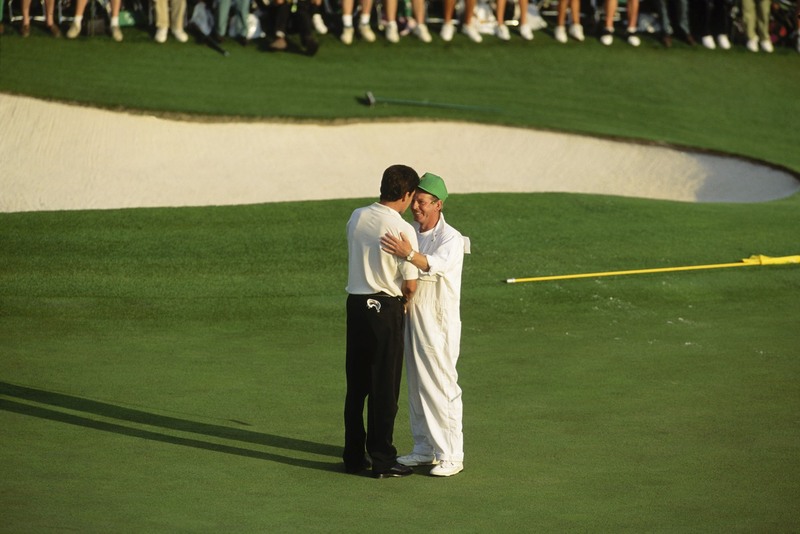 The highlight of their partnership was when Olazabal won The Masters in 1994. “Augusta is really challenging for a caddie,” said Dave. “Back then, it was a lot shorter, but the greens were very firm. I remember watching it on the TV this year and it looked like a piece of cake. They were hitting 5-irons into greens and it was stopping dead. Renwick went home and on the following Tuesday, when Dave was in the pub, Olazabal phoned him and demanded to know where he was. 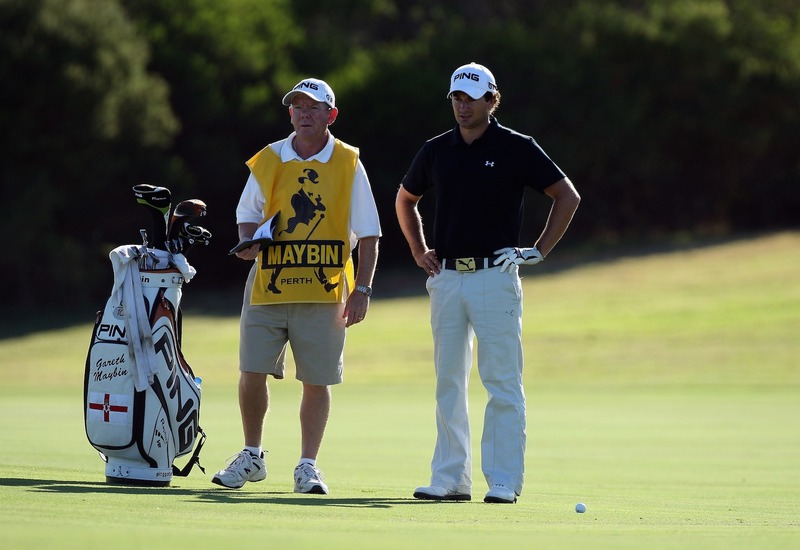 Olazabal offerded to increase Renwick’s share to 10% but the caddie was not for shifting. “Despite him calling my house every night for the next three days asking me to come back,” said Renwick. “I’d made my mind up that I was moving on. Renwick did, though, recall a side of the Spaniard that he was deeply appreciative of. 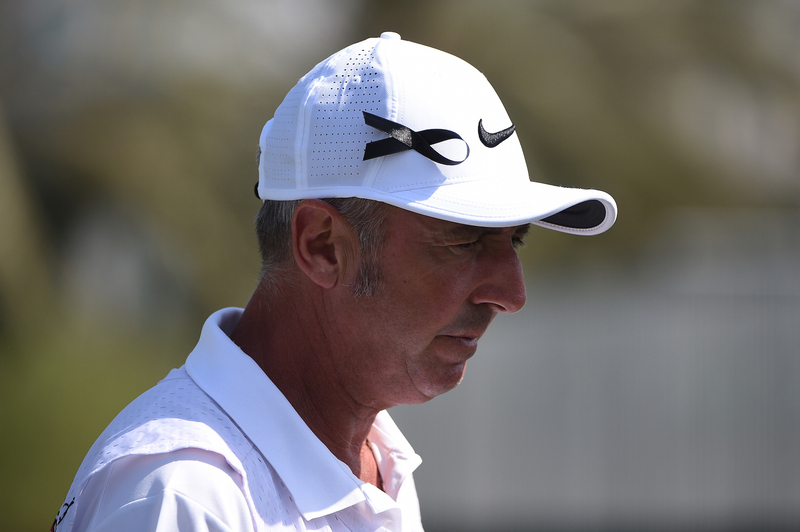 When Renwick was involved in a tragic car accident, Olazabal stuck with him. “We were travelling from the Irish Open at Portmarnock to France and there were five of us in the car," recalled Renwick. "We got the ferry from Dun Laoghaire to Holyhead and I had a couple of pints and one G&T on the journey. I’d been sleeping for three or so hours but took over the driving close to London and we were about 15 miles from London when I fell asleep at the wheel. “The car flipped over five or six times before landing back down on the motorway and it was lucky that it was around 6am in the morning. If it had been busier, I think we’d all have been killed. “I was hauled out and breathalysed. It was nine hours since I’d had a drink and I was clear, which was a huge relief, though I was devastated that two fellow caddies and friends were killed. I had to identify one of them, Davie Kirk, before getting a flight up to Edinburgh that night. After leaving Olzabal’s employment, Renwick didn’t have to wait long for further success. In 1995 his new employer, Steve Elkington, won the US PGA Championship at Riviera, beating Renwick’s fellow Scot, Colin Montgomerie, in a play-off. Elkington reportedly gave Renwick a $100,000 winner's cheque, over 25% of his winnings, as a thank you. 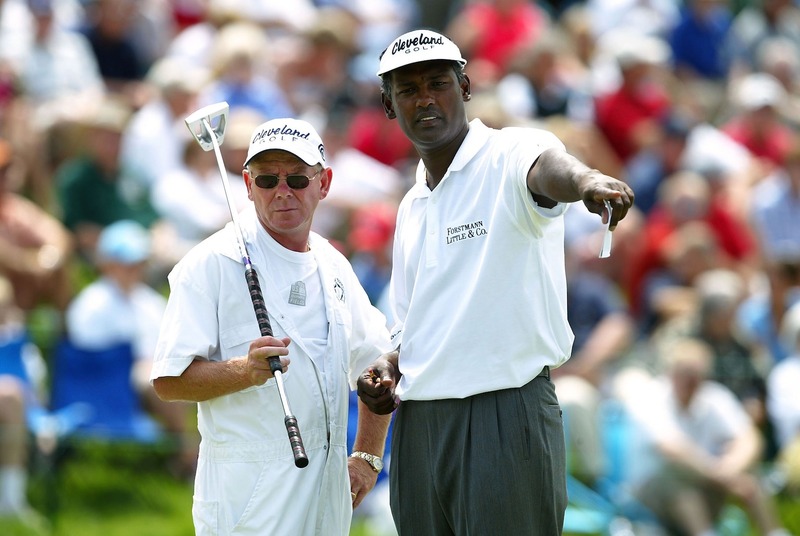 After undergoing eye surgery, Renwick’s next job was on the bag of the hard-working Fijian, Vijay Singh, and the duo struck up a highly profitable partnership as Singh won the US PGA Championship in 1998 and 2004 with a Masters win in 2000 sandwiched in between. "Winning five majors with three different golfers – not bad, I reckon, for a boy from East Calder who had a spell as a roughneck on an oil rig in the North Sea before travelling the globe as a caddie." McIlroy had taken a drop from a spectator walkway but had one foot still standing on that area when he played his next shot; which is not permitted under the rules of golf. Renwick waited until after his group had putted out on the 18th before informing McIlroy of his concerns, so as not to disrupt the two-time major winner's round. After a review with the tournament referee, John Paramor, a furious McIlroy was penalised two shots and a third round 68 was a 70. 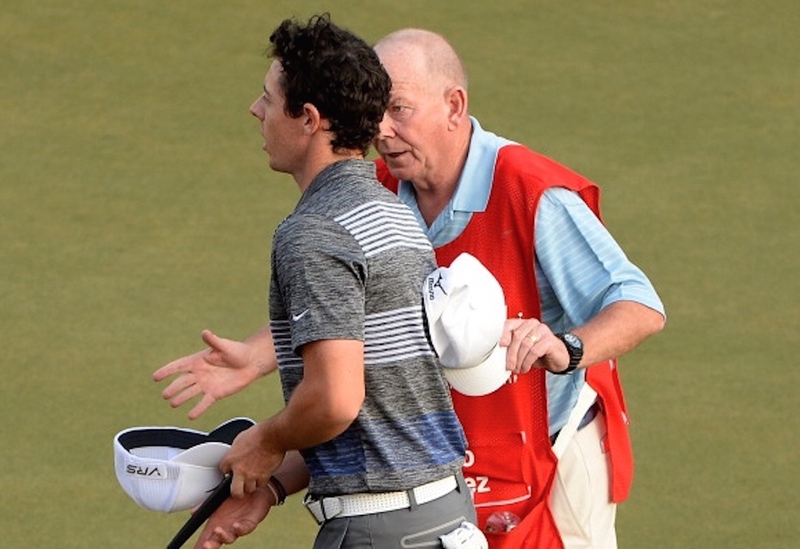 McIlroy breached Rule 25/1 in Saturday’s third round, when he failed to take full relief from a spectator walkway. He didn’t realise at the time that his left foot had been on the white line and, though it wasn’t clear on video, the player knew straight away that Renwick had been right when they went out to the spot along with European Tour chief referee John Paramor and saw where the divot was. “We’d just played our third shot and Rory was over the ball. I was looking over and thought, ‘I’m sure his foot is inside the white line’. I said to Ricardo as we walked to the next tee, ‘I’m sure he was standing on the walkway, not by much but enough’. “I couldn't have gone to sleep knowing that I hadn't said anything. I put a letter, a nice short one, on his locker saying that I'm sure he would appreciate what I did was in good faith." 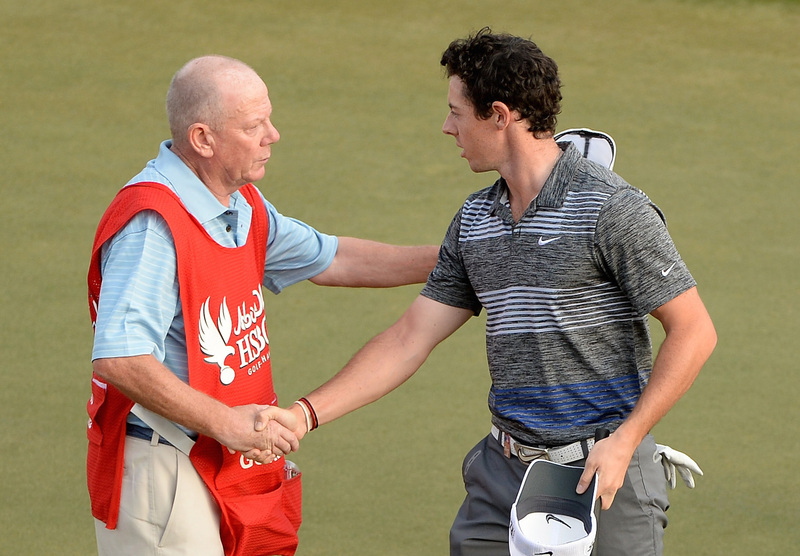 McIlroy sympathised with the caddie's position. The 24-year-old said: "You have to adhere to the rules of this game and he was pointing out something he thought was questionable. He was just doing what I guess anyone would."